1. 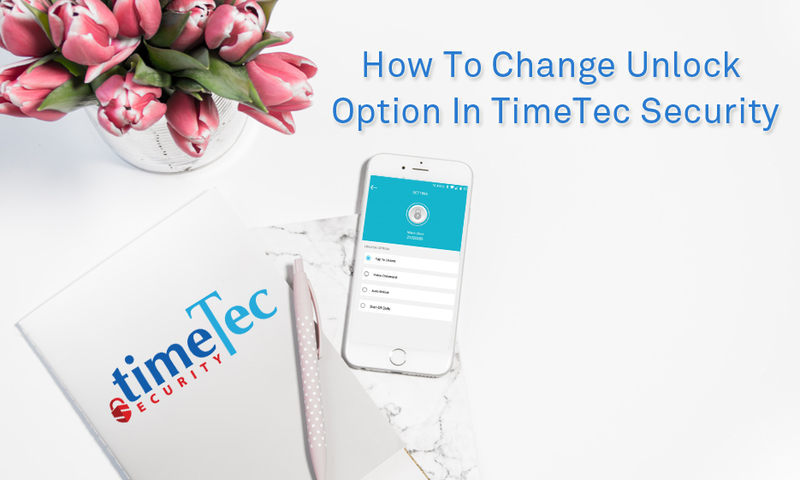 Login to TimeTec Security, Tap Menu icon (top left) and choose Configure Access. 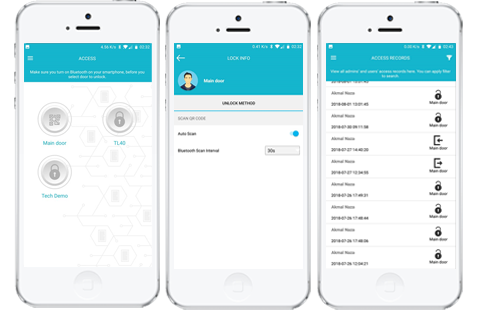 Select your Smart Access Device and tap on Setting > Choose Tap to Unlock. 2. To set the unlock option according to your preference, tap Menu icon (top left) and choose Access. 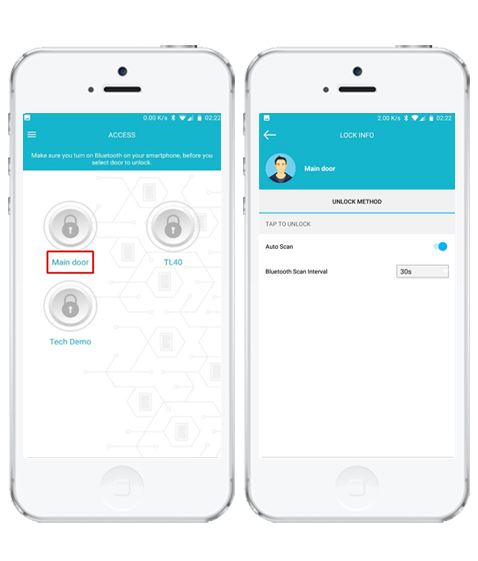 Tap on the Name of your Smart Access Device and the setting option for your unlock method will be shown. You can then set the configuration accordingly. 1. Tap Menu icon (top left) and choose Configure Access. Select your Smart Access Device and tap on Setting > Choose Voice Command. 2. To set the unlock option according to your preference, tap Menu icon (top left) and choose Access. 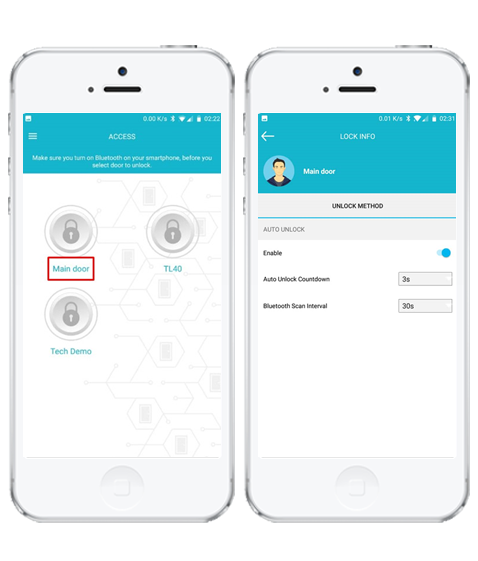 Tap on the Name of your Smart Access Device and the setting option for your unlock method will be shown. Furthermore, system admin can also choose the Voice Command Language and the preferred Question & Answer in addition to setting personal question and answer for the command to access the door. 1. Tap Menu icon (top left) and choose Configure Access. Select your Smart Access Device and tap on Setting. Choose Auto Unlock. 2. To set the unlock option according to your preference, tap Menu icon (top left) and choose Access. 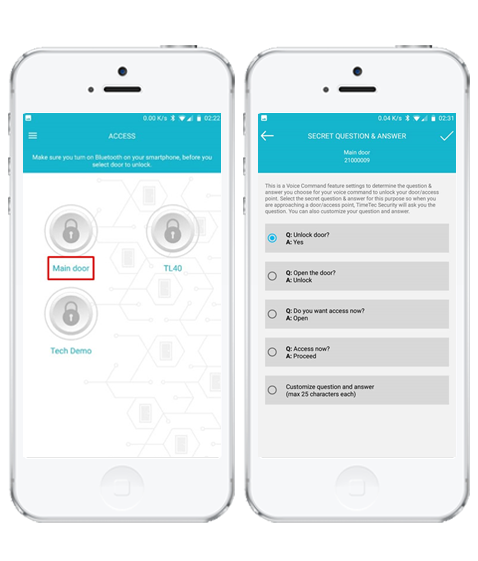 Tap on the Name of your Smart Access Device and the setting option for your unlock method will be shown. Once configured, a countdown will be shown once you are near to the device when unlocking the door. Hence, you can set your Auto Unlock Countdown accordingly. 1. Tap Menu icon (top left) and choose Configure Access. 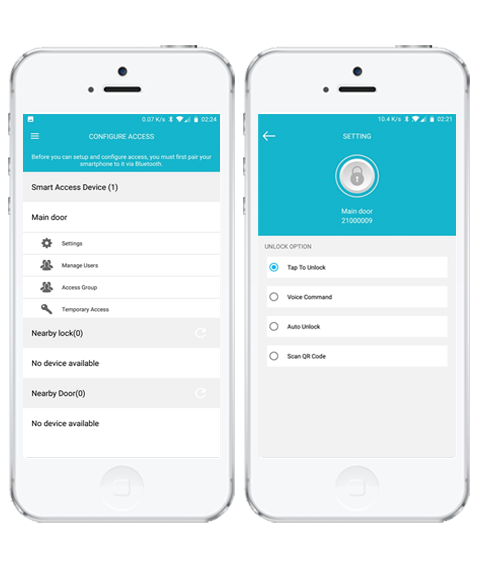 Select your Smart Access Device and tap on Setting. Choose Scan QR Code. 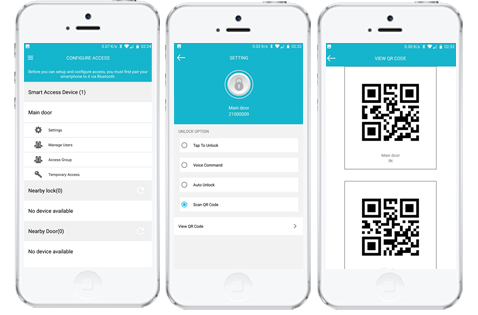 There are 2 types of QR code that will be provided – IN and OUT. 2. To set the unlock option according to your preference, tap Menu icon (top left) and choose Access. Tap on the Name of your Smart Access Device and the setting option for your unlock method will be shown. By selecting this option, users are required to scan the QR Code in order to access the door. Please be informed that this option will also record the user IN and Out within the Access Records.